Don't treat your Subaru to anything less than genuine OEM parts and accessories. The Subaru brand name is equivalent to excellent quality. Every genuine factory Subaru part and accessory plays its own role in the overall performance of your vehicle. This is why it is so important that whenever you are repairing, maintaining or enhancing your vehicle, you use genuine Subaru parts. 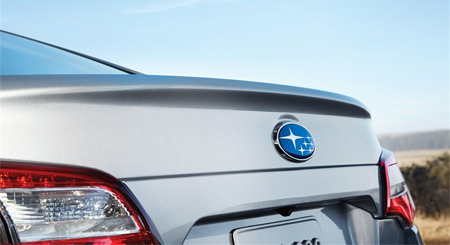 When you choose factory Subaru accessories, you can be assured that Subaru delivers the fit, reliability and performance you expect. In addition, genuine Subaru parts are covered by Subaru's nationwide warranty plan. We stock an extensive inventory of original Subaru parts and accessories. When it comes time for replacement parts, eliminate needless delay. If you need tires, wheels, brakes, exhaust, spark plugs, ignition parts or any other car engine components, stop by our parts counter or call with any additional questions. Gemini Motors Parts Department personnel are knowledgeable and ready to assist you in your purchase.